Robert Poole received his B.S. and M.S. in mechanical engineering at MIT and did graduate work in operations research at NYU. His 1988 policy paper proposing privately financed, congestion-relief toll lanes inspired California’s private tollway pilot projects law (AB 680), which has served as the prototype for more than 20 similar laws in other states. In 1993 he directed a study that introduced the term HOT Lanes. Poole has been an advisor to the Federal Highway Administration, the Federal Transit Administration, the White House Office of Policy Development, and the DOTs of California, Florida, Georgia, Indiana, Utah, Virginia, Texas, and Washington State. He served on the Caltrans Privatization Advisory Steering Committee, in 1989-90, and was a member of California’s Commission on Transportation Investment in 1995-96. He is a member of the board of the Public-Private Partnerships division of ARTBA and a member of the Transportation Research Board’s Managed Lanes Committee. In 2003-05 he was a member of the TRB’s special committee on the long-term viability of fuel taxes for transportation funding. In 2008 he served as a member of the Texas Study Committee on Private Participation in Toll Roads. 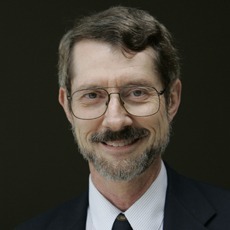 In 2010 he served as a member of the Expert Review Panel on Managed Lanes, for the Washington State DOT. He also served on the transition team for Florida’s Gov.-Elect Rick Scott. He writes a monthly column on transportation policy issues for Public Works Financing, and publishes the monthly e-newsletter, Surface Transportation Innovations.